Creative Sign Designs is a leader in implementing healthcare signage programs. Healthcare signage projects typically include hospital signage, as well as working with clinics and medical-office building developers. Hospital signage in particular relies heavily on wayfinding consultation, capabilities in interior and exterior signage, and knowledgeable project management. 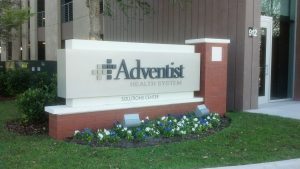 Creative’s team will work with you to ensure the best healthcare sign design for your facility. 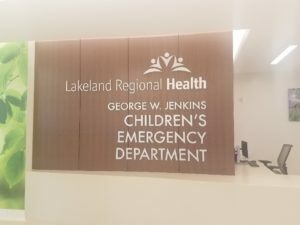 Creative Sign Designs is proud to have been involved in The Carol Jenkins Barnett Pavilion for Women and Children at Lakeland Regional Hospital, which is part of the Nemours Children’s Health System. This new 8 story 350,000+ square foot facility was created to provide healthcare to the women and children of the community. This new facility features the only Level III Neonatal Intensive Care Unit in Polk County. Learn more about the scope and view images. This Altamonte Springs, FL, facility represented a new step forward in a major non-profit healthcare organization’s storied journey. Adventist Health System had served the needs of millions of patients since 1973, when it required new signage for one of its offices, it came to Creative for assistance. The new facility needed to be outfitted with signage for hundreds of workstations, multiple reception areas and functional lobbies. It also required signs for its exteriors and parking areas. Creative’s team members leveraged the full extent of their creative knowledge to come up with visually engaging solutions that complied with strict ADA regulations while fostering productivity and promoting employee interaction with the space. 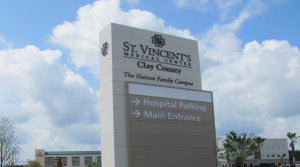 This Middleburg, FL, hospital required signage to help it reaffirm its mission. Creative came to its aid by providing custom exterior and interior packages that clearly communicated the facility’s dedication to advancing philanthropic healthcare in and around Jacksonville. Creative’s devotion to seeing this project through to its completion granted St. Vincent’s a unique opportunity to enhance its facility’s usability and deliver a superior overall healthcare experience. The Creative team is immensely proud to have helped make such a huge difference in the communities that this hospital serves. 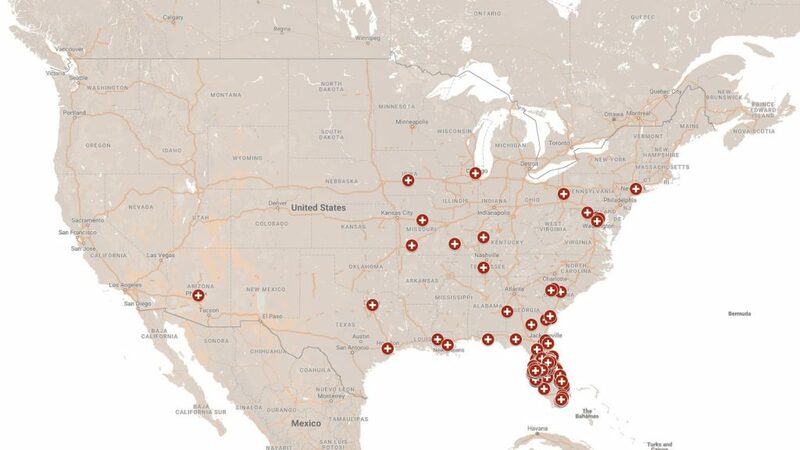 We serve our Healthcare clients from our home in Florida and throughout the country!